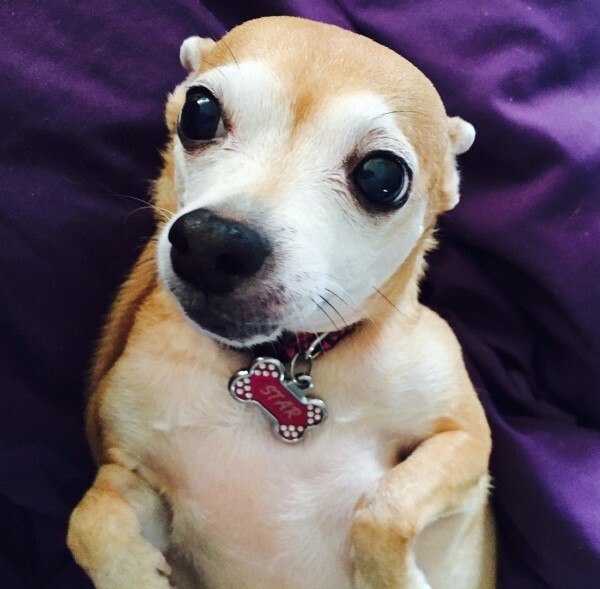 The wonderful Julie Payne hopes no pet parent ever has to go through what she has with Star, her senior Chihuahua, and her love. Julie first posted this on her Instagram account and then sent us the story of her journey with Star. She found a solution to help her fur baby and wanted to share her experience with other pet parents. 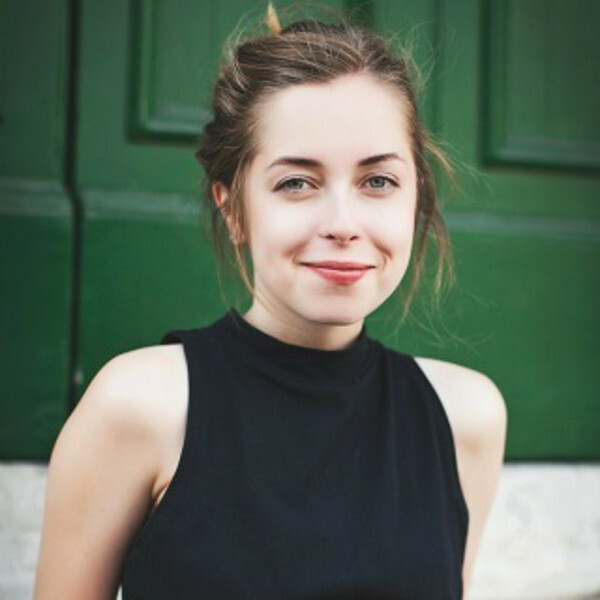 Here is her story in her own words. This is the story of my journey and I am telling it for other fur parents who may be in my situation. 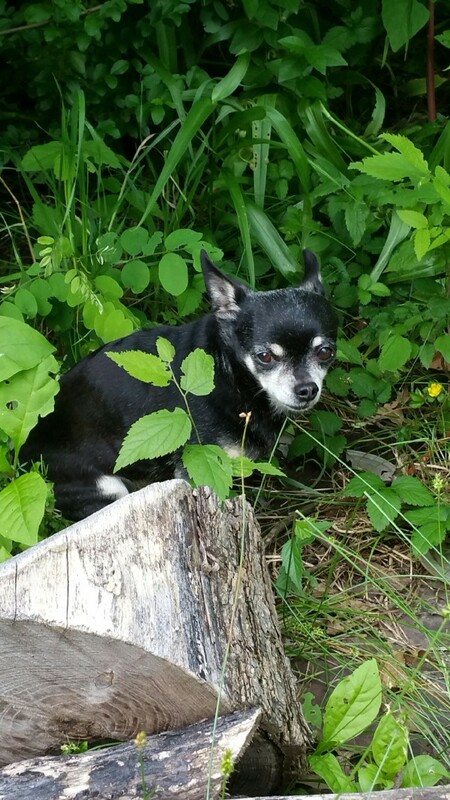 My dog, Star, is Chihuahua and is almost 14 years old and was diagnosed with kidney disease about a month ago. She slowly stopped eating and I felt like she was quickly starting to take a turn for the worse. I Tried 6 Different Brands of Food. She turned everything down! Days went by with her eating close to nothing and I bought about 6 different brands of dog food trying to support her new diet plan and she wasn’t interested in anything at all, not her old food or new. I was completely devastated and desperate. I spent long periods of time in multiple pet supply stores looking for anything that could give her a balanced meal that she would eat. She turned everything down. I spent hours on the Internet looking for a solution and decided I was going to attempt to make her homemade dog food. That’s when I found Dr. Harvey’s website and found a dog food pre-mix, Canine Health that you just add water, oil, and home-cooked protein to and your dog will have their homemade dog food. Skeptical, since Star refused to eat anything at this point, I still ordered the free trial bag of Canine Health which the website recommended for dogs battling kidney disease. I Started to Cry Watching Her Eat! I’d Do Anything For My Best Friend. I prepared her food and put her bowl down and started to cry as I watched my dog eat from her bowl alone without me hand feeding her each piece with praise for the first time in about two weeks. I know it’s not a cure for her disease but within days her entire behavior went from weak and sad to energetic and excited about meals. Within Days Her Behavior Went from Weak and Sad to Energetic & Excited About Meals. This food, Canine Health is made with fresh real ingredients like oats, carrots, and peas and gives her a well-balanced meal. It does cost more and requires more work than throwing kibble in a bowl but I’d do anything to have extra time with my best friend. Imagine having one dog that is difficult to feed. 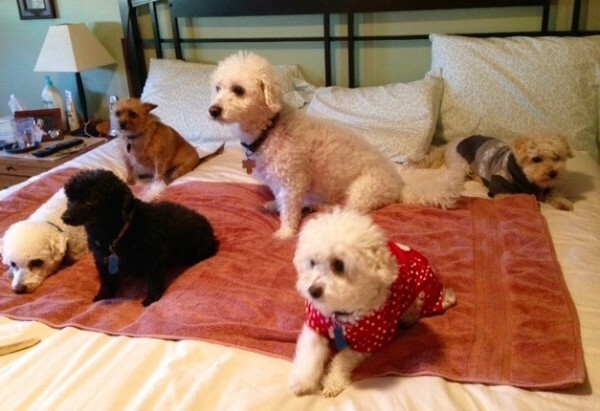 Now imagine having six dogs that would not eat! Add one highly informed dog mom who wanted to feed her large crew really healthy food and you have quite a dilemma. Enter Dr. Harvey’s Veg-To-Bowl and everybody is happy! Read this wonderful story in Carol’s own words. It has been a long time since I first used your product. When I lived in NJ we used to buy from you for our store and of course I used it for my own dog also. We have moved to North Carolina now and it’s been over 8 years. The dog I was using the Veg-To-Bowl has since passed, but I now have 6 more! I have become more aware of the ill effects of dog products and was determined to find a better solution. I had subscribed to Truth About Pet Food and realized that your foods are among the few that are indeed a healthy options. After 1 Month the Difference is Amazing! I have been using the fine ground Veg-To-Bowl now for about 1 month. 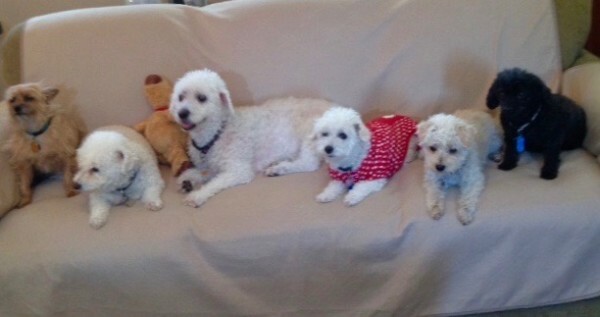 I can’t tell you what a wonderful change has happened with all 6 of my dogs. Before it was stressful trying to get them to eat, now it is stressful while I make the food. I almost have to sneak around, because as soon as they know it’s Dr. Harvey time, well I have 6 dogs all around me, carrying on like they haven’t eaten in a very long time. They all love it, as I’m sure you knew they would. I have also introduced it to my neighbor who has started using it on her very picky dog, and she cannot believe what a joy it is to now feed her and also what a relief to know we are doing the best we can. Thank you so much for your wonderful Veg-To-Bowl! Thank you for possibly saving our baby's life! Mugsy’s Dad Wrote to Say Thanks! 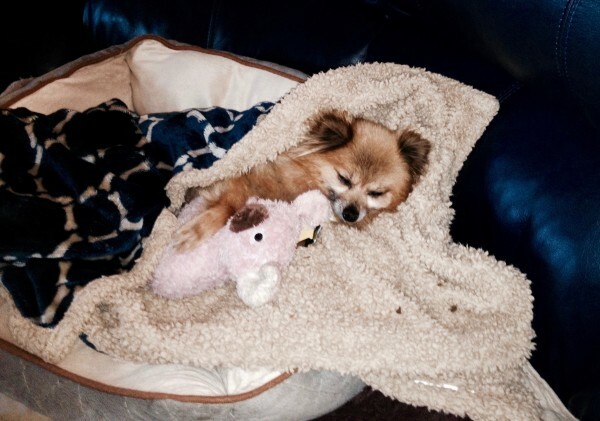 Loving pet parent, Steve Brown, was seeking help for his buddy, 12-year-old Chihuahua Mugsy. 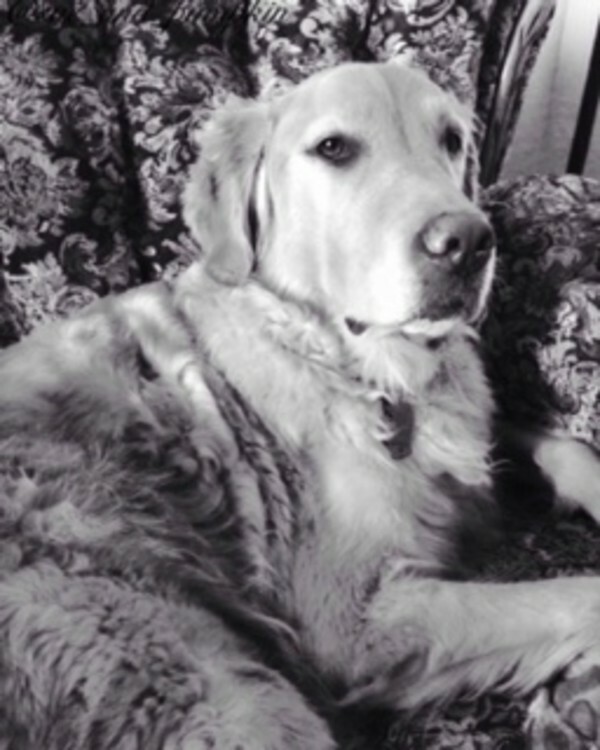 He tried a trial size sample of Dr. Harvey’s food, Canine Health, and then wrote to us to let us know the results. We wanted to share his words in hopes that other pet parents might find an answer for their companion who may be suffering, not eating, is a very picky eater or is just in need of a really healthy diet transformation. 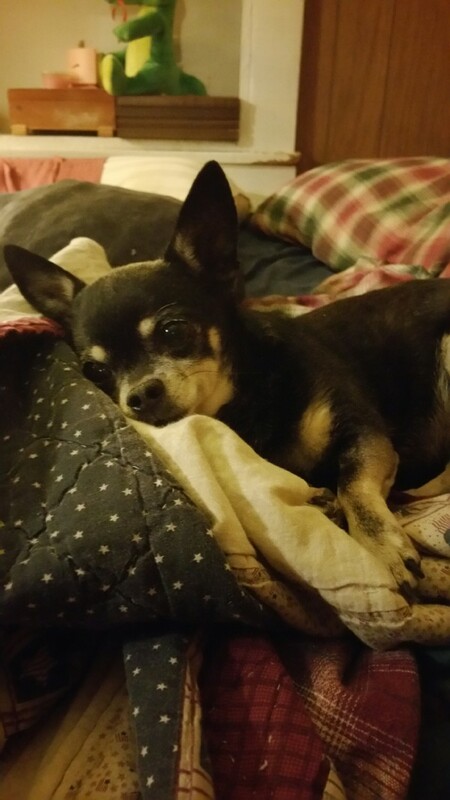 Mugsy is our 12-year-old miniature Chihuahua. Recently we had to take him to the vet because his kidneys weren’t functioning to their fullest capacity. He spent a week at the vet having his kidneys flushed. We thought we were going to lose him. The vet was able to get his kidneys flushed, and sent him home, but he still wasn’t acting like he felt any better. The vet sent some prescription Dog food home with us. Mugsy would hardly eat it. So we did some research online and came across Dr. Harvey’s. We decided to get the free trial size and see if he would eat it. Then We Found Dr. Harvey’s! Mugsy absolutely loves the food! He did not respond well to the prescription dog food we bought from the vet. It made him sick. His appetite was nearly nonexistent. I prepared Dr. Harvey’s pre-mix food Canine Health , according to the easy to follow directions, and he ate it like it was his first meal in weeks! We are definitely going to make this his permanent diet. Thank you for possibly saving our baby’s life! Enix, "The Precious", is Eating...Finally! 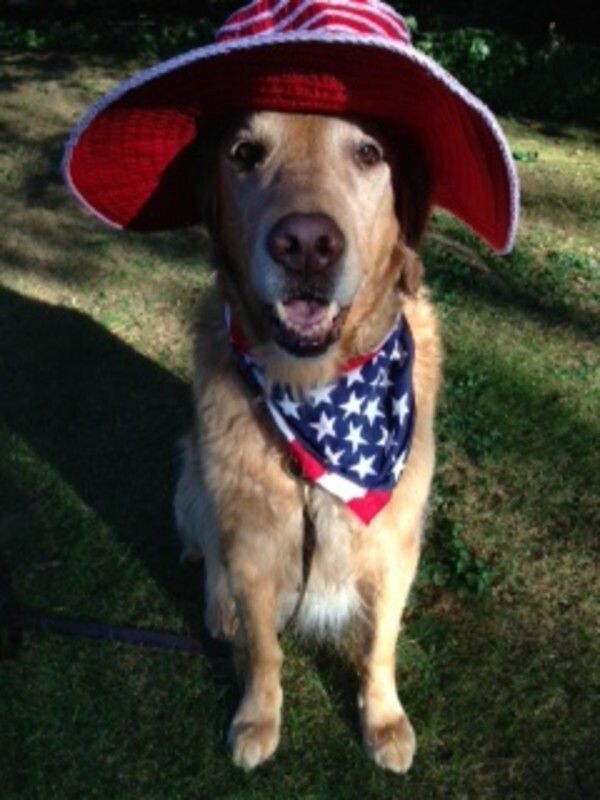 You Must Read This from a Very Happy Dog Mom! June Evans was syringe and hand feeding Enix, because he wouldn’t eat! 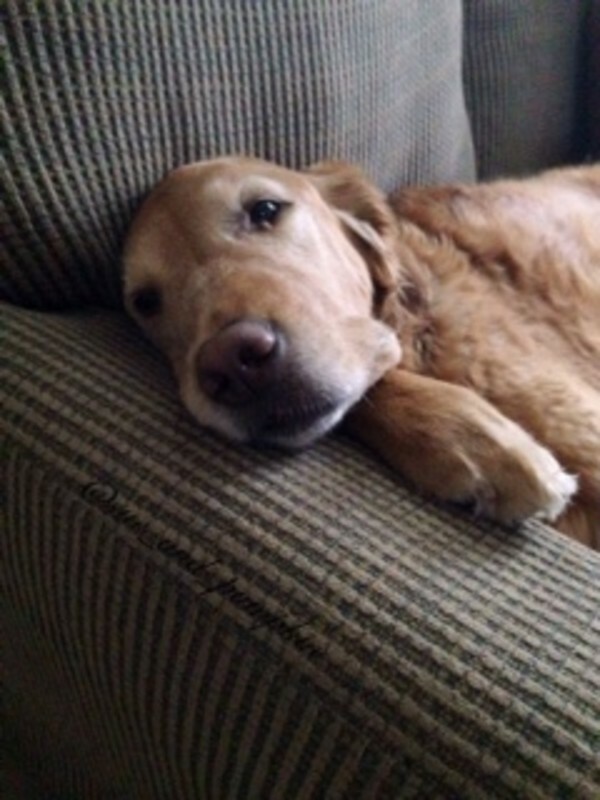 Read her wonderful success story after feeding her beloved pup Dr. Harvey’s Canine Health. I was Syringe and Hand Feeding for a Month! 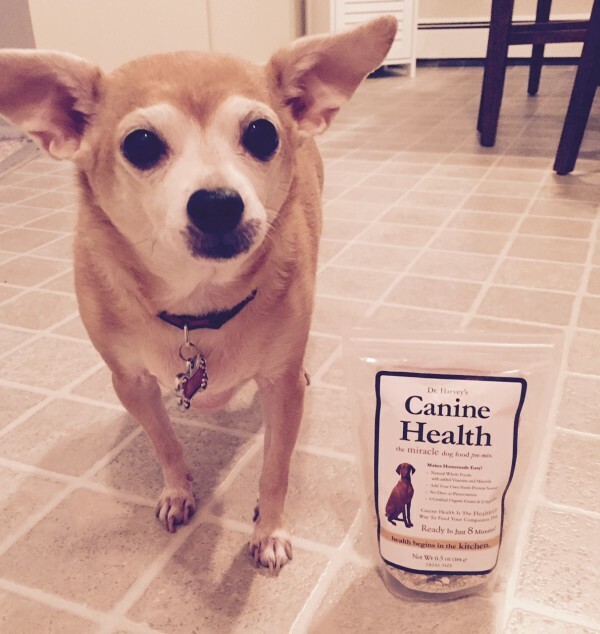 Enix loves the Dr. Harvey’s Canine Health! I’ve been syringe and hand feeding him for about a month. The prescription food from the vet made him so nauseous an hour after he would eat it, that he could hardly breathe. I found your dog food online doing a search. I have used the trial package for about 3 days now. The Canine Health gives him no nausea at all! (Except for this morning when he just ate it too quickly). His Appetite has Improved So Much! I just put the food down now and he eats it all on his own. I’ve already ordered another 5-pound bag and it should arrive today. I’m switching my other dog over too. Enix’s appetite has improved so much he’s looking all over for dropped crumbs of anything -this from a dog I’ve had to coax to eat since puppyhood. I haven’t had his values rechecked yet. He is due to return to the vet in about another two weeks. I know my veterinarian will not like the fact I’ve switched his diet from the prescription food, but it was either that or put him to sleep, I couldn’t stand to see him suffer. The Canine Health seems to make him comfortable too like the complex carbs have a calming effect? I don’t know if that’s it, but he simply seems a lot calmer and happier, with very little to no nausea. Thanks again for your inquiry into Enix’s health and for your product! I’ve already told many of my friends about Dr. Harvey’s, and urged them to get a trial sample for their pets’. Lucy Is Finally Eating! I'm So Impressed! Loving dog mom, Brandy Tree, couldn’t wait to tell us about her baby, Lucy, and how they both are loving our Canine Health. We love new fans and we were so happy to receive this email from Brandy. We could not be happier to know that Lucy is loving her new food and that she is doing better. Here is that email in her own words. Thank you for sharing Brandy! I haven’t been able to get Lucy excited about her food since we got her. When her Vet said she had to eat the special KD food after being diagnosed with kidney problems she lost ALL interest in her food and quickly began to lose weight. Of course, this had me extremely concerned and I knew that there had to be other healthier and more appealing options available, I just needed to find them! I Knew There Had to Be a Better Way for Our Baby with Kidney Problems. This is when I began scouring the Internet and reading everything I could find on kidney problems in dogs and the requirements for a healthy diet. Then I discovered Dr. Harvey’s! 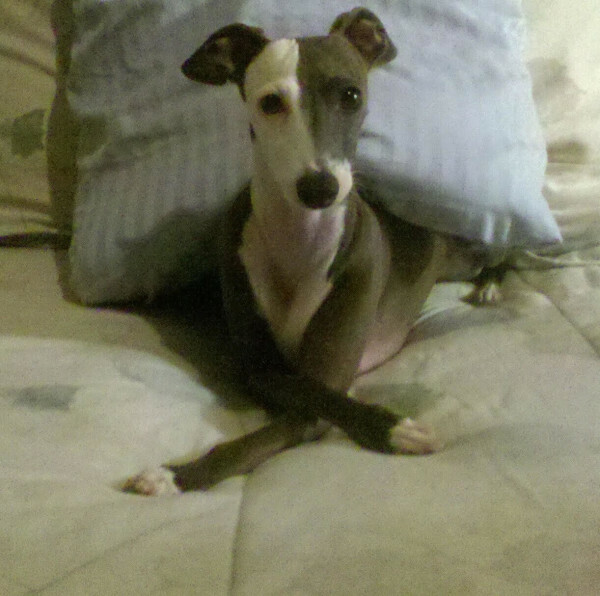 I’ll admit I was hesitant at first, but after reading all the reviews and the miracle stories I came to the conclusion that I honestly didn’t have much to lose, Lucy was quickly getting worse and losing weight rapidly and being an Italian Greyhound she didn’t have extra weight to spare! I decided to give the free trial bag a try. I was surprised at how quickly my order arrived! And at how big the trial bag of Canine Health actually was! I couldn’t believe I got this large bag of food for only the cost of shipping! I was truly expecting maybe one or two meals; just enough for her to have a meal or possibly two and that would be it. Lucy is very pleased that she’s going on week two of her trial bag of Canine Health and thoroughly delighting in each and every bowl! 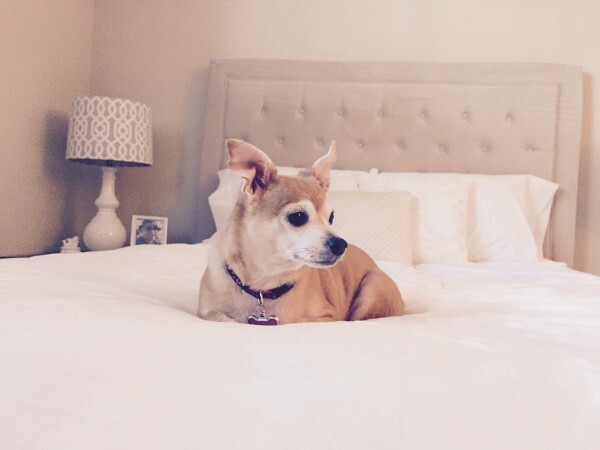 Previously I would feed my dogs before I began making dinner for my husband, Ben Ben my Chihuahua, would gobble his dinner up right away while Lucy totally ignored hers and would instead become very excited and interested in only what I was cooking for dad. Lucy doesn’t get table food, but being very determined and always hopeful she would sit with dad through dinner waiting with high hopes until he was finished just in case this would be the time he decided to share a portion of his meal with her. Hopes dashed and fully disappointed she would only then go check to see what was in her food bowl. Previous to the KD canned kidney diet she would grudgingly eat her food but once she was started on the KD she flat out refused to it at all. I Was So Excited to See Her Enjoy Her Food! The first day I prepared her the Dr. Harvey’s Canine Health she was right there urging me to move faster so she could have her dinner, this was BEFORE she ever tasted it! I honestly think she believes she’s getting what I cook nightly for my husband….her greatest dream finally came true (or so she believes!) I couldn’t believe how excited she was when I set her bowl down, I was so happy to see her finally truly enjoying eating her food! Now ever since that first bowl of Canine Health she could care less about what I’m making my husband for meals! In fact, she knows EXACTLY when it’s time for her to eat and if I’m doing something else she makes it a point to bother me and be as disruptive as an Iggy can possibly be even going as far as removing my headphones from head in order to get me up and in the kitchen to “cook” her food! It hasn’t quite been two weeks yet but I’ve already noticed a change in her. She is less lethargic and in addition to becoming more active she’s also taking an interest in things she long ago stopped wanting to do, like playing with her toys, as well as me and dad. I’ve even caught her playing with her new little brother Ben Ben, something she had yet to do at all since his adoption last September! Most noticeably her urine output, which previously was way too much for a dog of her size. Living in Colorado with unpredictable weather Lucy has always preferred to use potty pads during inclement weather and at night making it very easy to keep track of her….um….let’s just say “necessary bodily functions” Before Dr. Harvey’s her urine output was incredibly worrisome, when before changing her potty pad two or three times a day was the norm to suddenly changing upwards of eight to ten completely soaked XL sized pads sometimes twice a day in addition to her going potty outside was enough to get her to the vet ASAP only to be told my little girl had kidney problems. Now after barely over a week on Dr. Harvey’s although not back to where she was, we’ve still noticed a dramatic decrease in Lucy’s urine output. I’ve yet to take her in for her next vet appointment for more blood work but I’m very hopeful to hear good things and have some amount of improvement. I couldn’t be happier to see my nine-year-old Lucy behaving years younger and actually enjoying not only her meals but also her daily life once again as well. I’ve recently ordered Lucy the full-size bag of Dr. Harvey’s Canine Health and look forward to adding the appropriate supplements and of course some special and well-deserved treats next. Thank you, Dr. Harvey’s for providing a life altering, healthy food option so I can spend as much time as possible with my four legged furry true love, Lucy. Thank you for allowing me to see her happy, healthy and enjoying being my pup once more! It feels amazing to give Lucy back even a tiny amount of the unconditional love, enjoyment, and true happiness that she not only deserves but also has never hesitated to always give me. 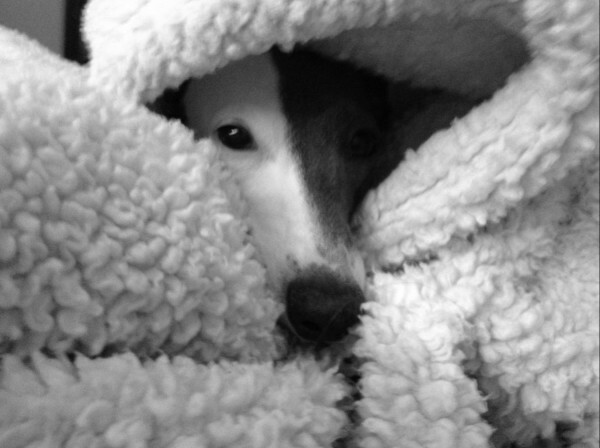 …I have attached a few pictures of my little Lucy at the end of this email. How Do I Explain What This Means to Me? Lucy is my heart and you’ve given my heart back to me…. Words aren’t enough to express how much this means to me. There’s been a great deal of press and publicity surrounding unhealthy food and treats being sold for dogs. Everything from toxins found in processed choices found on grocery store shelves to poisons present in overseas chews, are making their way into some of our dog’s diets. These are just a couple of reasons why feeding our dogs, only high-quality, all-natural choices, made in the good ole USA, is so very important. 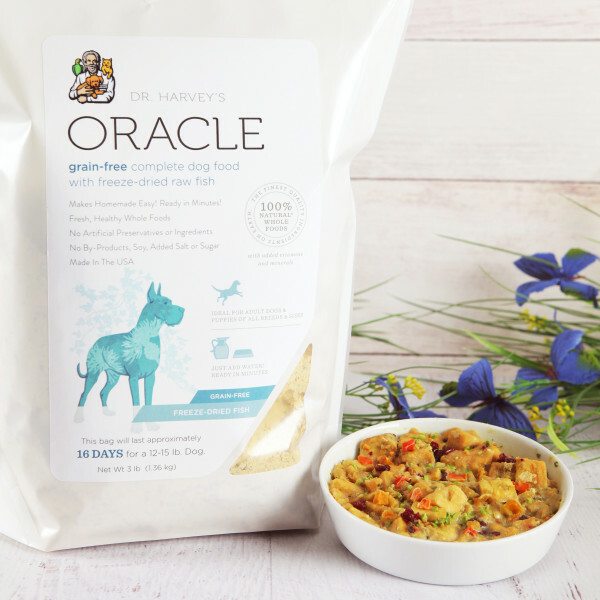 Dr. Harvey’s is proud to present the newest addition to our healthy family of fine pet foods, Oracle Freeze-Dried Raw Complete Diet for Dogs (available in both whole grain and grain-free varieties). This protein-packed, whole food source is made with the same strict guidelines as our other products. The big difference with this new all-natural choice is that it’s freeze-dried in a “just add water” formula. the road, there’s no need for special containers or can openers, just a good bowl and some water. Since Oracle is made with human grade, freeze-dried raw meat as the first ingredient, along with vegetables and healthy herbs, it’s just as tasty as if you had made it yourself at home. Even the finickiest of eaters, those with gastric issues and the most sensitive of stomachs, can enjoy the fresh taste of meat and protein found in this new freeze-dried favorite. Many humans are becoming more disaster ready these days by buying supplies like water and freeze-dried foods in bulk for their own consumption and the same is true for Oracle. With an extended shelf life, you don’t have to worry about your dog’s food supply becoming stale or going bad if it’s stored in a cool, dry location. Similar to our other all-natural food choices, Oracle is made without added sugar, salt, artificial colors or dyes. It’s also free of soy, by-products and other synthetic ingredients. It’s perfect for dogs in all stages of life and packed with vitamins and minerals for the best in nutrition. 1. 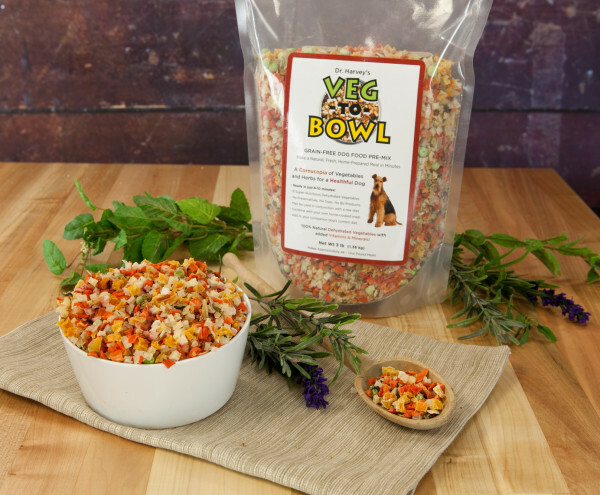 Shake or knead the bag to evenly distribute the food before adding to your dog’s bowl. Measure the appropriate amount according to the chart on the bag and pour into the bowl. Note: Feeding amounts are general guidelines and individual requirements can vary dependent upon your dog’s specific breed, overall health, genetics, and activity. 2. Also according to the feeding chart on the bag, add the appropriate amount of hot water to the dish. Let the mixture stand for 10-15 minutes until the food has absorbed all the water and has a consistency similar to oatmeal. You can adjust the amount of water depending upon your dog’s preference. 3. Serve at room temperature (make sure it’s not too hot for consumption before serving) alongside fresh, clean, drinking water. Since we love them like family, we should treat them as such, which includes a well-rounded, wholesome and nutritious diet. While you should always consult with your veterinarian before changing your dog’s diet, I’m sure they’ll agree this is a healthy choice for your pet. Say Hello to the All-New Oracle! After months of planning and development, the Dr. Harvey’s team is thrilled to announce that we’ve re-invented and re-launched our “Just Add Water” complete dog foods – Oracle! To thank our customers across the country and around the world who love Oracle Grain-Free and Oracle Whole Grain – and we believe will love it even more now – we’ve dropped the price by 25%! This isn’t a sale, but a permanent reduction. Each bag of Oracle Grain-Free and Oracle Whole Grain now contains a different blend of wonder fruits, such as banana, apple, cranberry, blueberry and coconut. 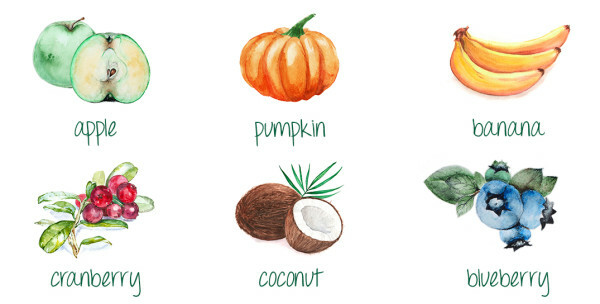 These fruits are extremely healthy for dogs, and deliver essential fiber, vitamins, enzymes and antioxidants with every meal. Adding fruit to a dog’s daily diet has been shown to help fight off disease and boost energy levels, as well as support muscle growth, heart health and metabolism. Oracle Grain-Free and Oracle Whole Grain is now available in a new fish formula made with wild-caught salmon and sardines. Sardines are highly recommended for dogs (and people!) because of their low mercury profile, and because they’re loaded with healthy Omega 3 fats. In fact, sardines are one of the most concentrated sources of the omega-3 fatty acids EPA and DHA, which have been found to lower triglycerides and cholesterol levels. Plus, Oracle’s new fish formula is ideal for dogs that have difficulty digesting certain proteins, and may have allergic reactions to beef or poultry. For all other dogs, adding fish to their protein rotation provides essential nutrients and a significant boost to their daily diet. If you’re a long-time Oracle fan, then you’ll love what we’ve done to your dog’s favorite food. And if you’re new to the Oracle fan club, then get ready to give your companion with a fresh, homemade, balanced and complete meal — and it takes just seconds to prepare! As always, we encourage you to rotate between Oracle formulas, so that your dog gets the different amino acid profiles from the different proteins (chicken, beef and fish), as well as the NEW wonder fruits in every bag. Just Add Water: You don’t need to buy and add fresh protein – because we’ve done that for you! Just add water to create a healthy and hydrated meal in minutes. It’s nutrition you can easily see. Top Quality Ingredients: The protein in Oracle Grain-Free and Oracle Whole Grain is fresh, regional USDA beef, chicken or fish. Plus, each bag of Oracle is loaded with ultra-nutritious vegetables and fruits. From Our Kitchen to Yours: As you’d expect from Dr. Harvey’s, Oracle contains no chemicals, preservatives, additives, fillers or by-products. There’s also no salt, sugar, wheat or soy. Ideal for Every Life Stage: Oracle is still with most bio-diverse dog food available, exceeds AAFCO Standards, and is ideal for dogs at every life stage: from pups to seniors. Pumpkin’s mom, Sue, reached out to us to tell us that Pumpkin wanted to tell her story “in her own words”. 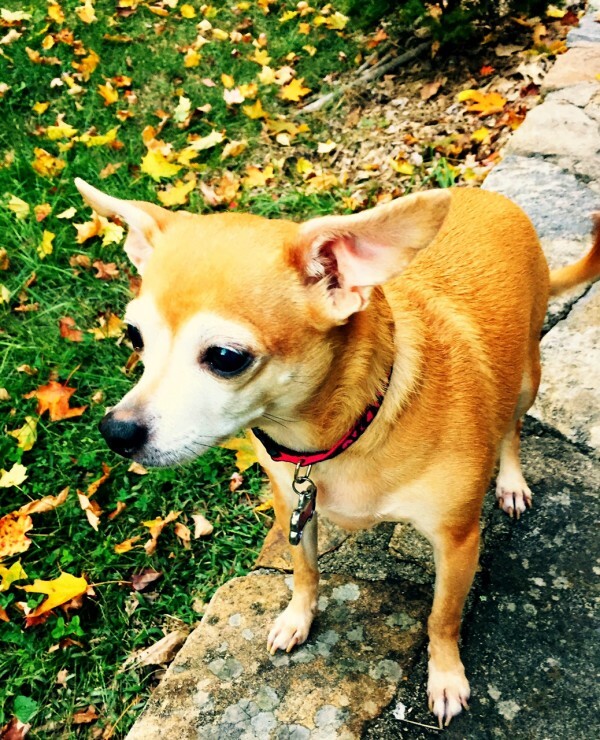 We were so touched when we received the story of Pumpkin’s journey and how Canine Health was the miracle she needed. Here is Pumpkin’s story. It was Good Friday 2010, a beautiful Spring day! I enjoyed a long afternoon walk with Mom and Grandma! We came home and I got a refreshing drink and snack. I proceeded to take a nap as Mom and Grandma enjoyed lunch and good conversation. They said their goodbyes after a nice visit, and then Mom ran some errands. When she returned home after a few hours, she took me for a quick walk and then fed me my dry kibble and then BOOM…..I was out…. Literally passed out for about 2 minutes. I didn’t know what hit me! Before I knew it, I came to…in none other than, the dreaded vets office!!! I heard him speaking in hushed tones to Mom something about a Grand mal seizure…and as I understand it….that is why I was out cold….some kind of short circuit happened in my brain!!! The vet drew blood from my arm and ruled out many possibilities as to why I had this terribly scary seizure. He concluded it was of "idiopathic"origins; meaning he just didn’t know why it happened. He suggested Mom and Dad keep a watchful eye on me for any more seizures and that if they became more frequent, to perhaps, put me on medicine. The very next day I started having diarrhea and vomiting. My Mom and Dad withheld food for 24 hours as advised by my doctor. After that 24 hour period, which felt like an eternity, I was allowed to eat small portions of boiled chicken and rice. As good as it tasted going down, I just couldn’t keep it down…if you know what I mean! So this is where my spiral downward begins to pick up speed! My poor Mom and Dad! They tried EVERYTHING….every commercial dog food on the market that sounded heathy…they gave me. Nothing worked…. I still had terrible diarrhea and vomiting! Many trips to my vet getting one test after another….more blood work, x-rays, exams, looking for blockages…nothing, negative, nada! My vet did ask for a stool sample and discovered I had hookworm and roundworm despite my being given an Ivermectin heart worm medicine….it failed me!!! My parents immediately switched me over to Milbemycin, another kind of heart worm medicine that kicked my worm issue, but not my diarrhea and vomiting. And my seizures were occurring weekly! To our dismay, this continued for approximately 8 months! Mom and Dad were steadfast in their quest for a diagnosis and cure! I was truly fed up at this point and felt like I was dying….in that time period, I went from a healthy 86 pound Golden to a 60 pound shadow of my former self! People around us were suggesting they end my misery….if you know what I mean! Mom and Dad wouldn’t even consider that as an alternative. No, they KNEW in their hearts there was a cure for me and they NEVER stopped searching… And I am eternally grateful to them and love them forever for not giving up on me. And not to mention I am one tough cookie! I put up a good fight! But I must say, this whole journey was a labor of LOVE between me, Mom, and Dad! No Prescription Diet for Me! My vet recommended I start a course of anti-seizure medicine along with a prescription food diet. Mom and Dad refused to feed me the Rx vet prescribed food which its first ingredient was CORN!!!!! Please don’t get me started down that road!!!! Suffice it to say, it was nothing more than a bunch of processed filler ingredients with a fancy name and price tag to match! Just like every other commercial dog food, I know it wouldn’t have helped me at all. It’s Called The Miracle Dog Food for a Reason! So, that very same day, Mom and Dad turned to the internet and did an all out search for a natural, healthy dog food. That’s when they found Dr. Harvey’s Canine Health-The Miracle Dog Food They ordered my first bag and after my first DELICIOUS meal, my diarrhea and vomiting stopped!!!! It was my miracle elixir!!! I have been eating and loving my 3 squares a day ever since and I have been diarrhea and vomit free!!! Thank you Dr. Harvey’s… You Saved My Life! That was 6 years ago…in that time I have put weight back on, I feel great, I am so happy, and am so excited to celebrate my 10th birthday on the 31st of this month! Life is good; in fact it’s delicious all thanks to you, Dr. Harvey! I have survived against all odds and I am forever grateful for the love and steadfast determination of my Mom and Dad to restore my health, and to you, Dr. Harvey’s! You saved my life! We felt that the start of a brand new year was the ideal time unveil the fresh new look of Dr. Harvey’s line of whole food supplements! We’ve not only improved the appearance, but we’ve added sealed bands for enhanced safety, and the “user friendly” lids are now easier to open and close. …and Some Things Shouldn’t Change! Of course, while we’ve changed what’s on the outside, be assured that we haven’t changed what’s on the inside. 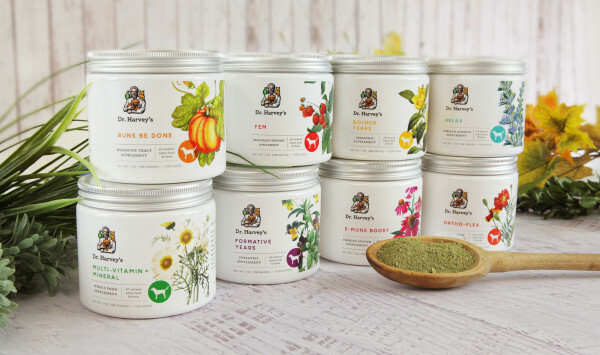 As always, each of Dr. Harvey’s unique and proprietary supplements is formulated with highly nutritious whole foods and potent healing herbs to support your dog throughout the lifelong healthy journey: from puppyhood, through to adulthood, and onwards into the golden years. 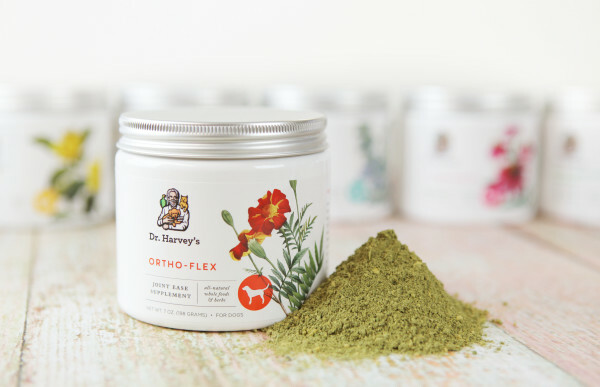 Whether the issue is aching joints, a dull coat, lack of energy or more, there’s a Dr. Harvey’s Supplement to help. It’s wellness you can count on! Your dog is there for you, day after day. Return the love and loyalty by supporting your best friend at every stage of their journey with Dr. Harvey’s Whole Food & Herbal Supplements! •	Made from a Company You Know & Trust! You have a health toolkit at home to enhance your family’s health and wellness. Now, you can give your beloved companion the same love and care. Over the years, thousands of dogs and pet parents have benefited from Dr. Harvey’s Whole Food & Herbal Supplements. Now you can too! There is Something Else that is New! And while we’re highlighting new and exciting changes, please say hello to the newest addition to our whole food supplements roster: Runs Be Done! 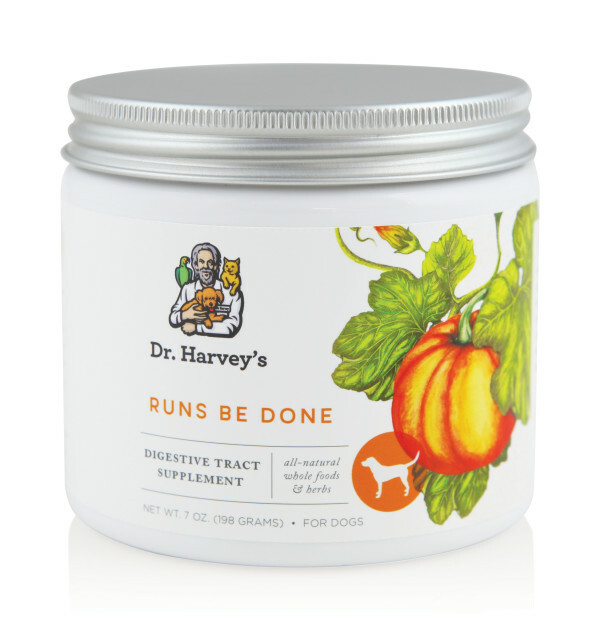 Runs Be Done is a “must have” supplement to safely and effectively deal with occasional bouts of diarrhea, or it can be used daily for dogs with sensitive stomachs. And unlike pumpkin that goes to waste in the fridge, you can simply store Runs Be Done in your dog’s “health toolkit” until next time. There’s no wasted time or money, and no mess either. Simply put, when used together with Dr. Harvey’s Canine Health, Runs Be Done is a life saver for you, your dog – and your carpet and furniture, too! Itchy skin, redness and allergies are some of the most common problems we see in dogs. These conditions are also the most frequently sited reasons for a trip to the vet and can be among the most frustrating problems for pet parents and their dogs. Medications including antibiotics and steroids, can negatively effect the immune system and they give only temporary relief. Dogs are often given multiple rounds of these drugs and the problem keeps coming back. That’s because medications only mask the problem and don’t get to the root cause. Amazingly the most common cause of skin problems and itching is often overlooked. Diet is the single most common cause of skin problems, itching, scratching and redness, inflammation, paw biting, rashes and hot spots. It may be hard to believe that just by switching to a new all natural and fresh food diet, that your dog, who may have been itching for years, will get better. But we have seen thousands of dogs improve. simply by making this switch, This means feeding food that is completely free of preservatives, dyes and chemical additives. Not only is it important to completely eliminate these additives from your dog’s diet, you need a diet that allows you to rotate proteins, has minimally processed ingredients and is rich in essential fatty acids. Dr. Harvey’s Veg-to-Bowl makes switching to this type of diet easy and safe and the results are nothing short of amazing. Pet parents are thrilled with the results. After watching their dog suffer needlessly, they now have a dog that is free from itching and redness. Your dog feels better and so do you. Switching to this diet can also give your dog a bright, shiny coat and healthy skin. 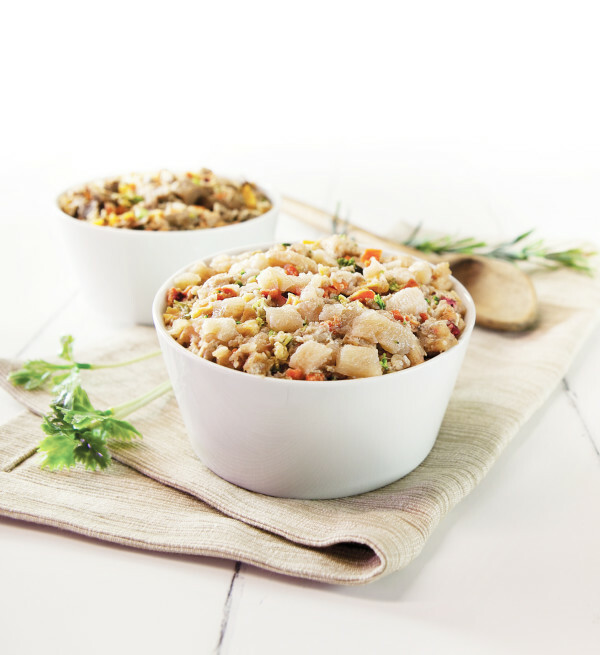 Veg-to-Bowl is made from 9 different dehydrated and freeze dried vegetables, organic herbs and vitamins. To this you add fresh high quality meat and oil. You will be giving your dog the healthiest meal possible. Pet parents report the clearing of allergic symptoms, redness, inflammation and itching. Fresh whole foods can make a remarkable difference in your dog’s health and longevity. Making Veg-to-Bowl is really easy to feed. Just add water to rehydrate the veggies, add raw or lightly cooked fresh meat and oil and serve your dog a meal that provides everything that they need for good health. All dogs love to eat Veg-to-Bowl, even the pickiest eaters. Commercial dog foods are laden with preservatives and other additives that can cause these problems and are toxic to your dog. Even the ultra- premium kibble and so called “prescription” diets contain these additives and will not alleviate the problem. Holistic veterinarians recommend a diet that mimics a dog’s natural diet, normalizing and strengthening your dog’s digestive and immune systems. 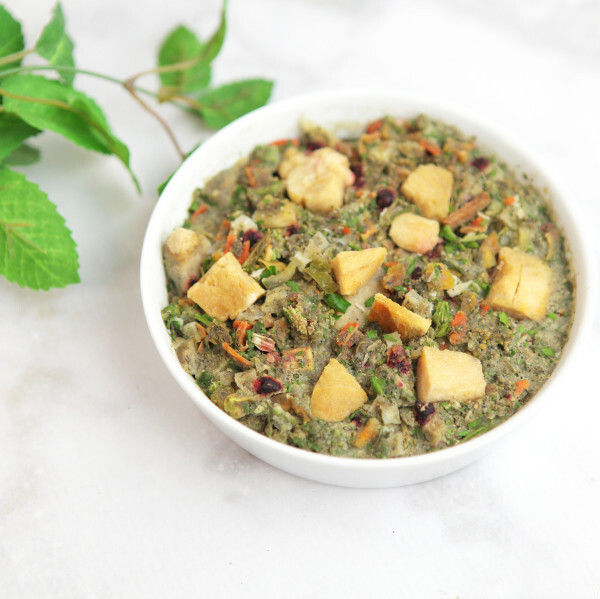 They recommend adding a good balance of essential fatty acids, and other immune-normalizing and strengthening nutrients, Dr. Harvey’s Veg-to-Bowl provides this kind of diet. A natural diet can reduce stress on the body, while allowing a natural reduction of inflammatory conditions and a lower risk of infection. 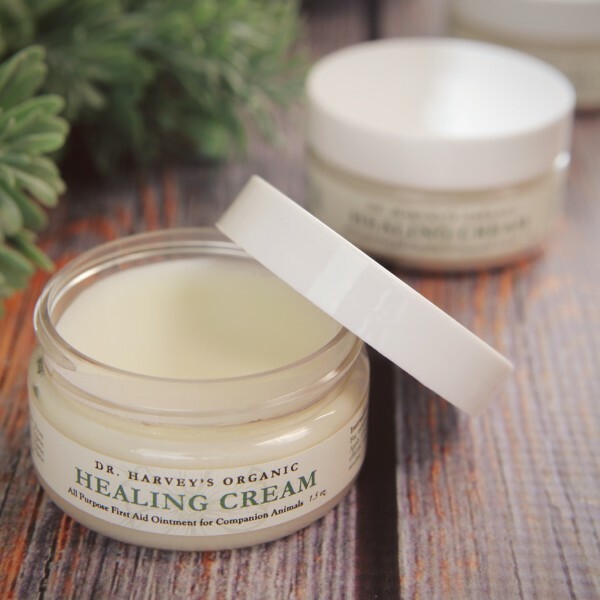 Dr. Harvey’s Organic Healing Cream can be applied for immediate topical relief of redness and itching. This miracle cream contains soothing herbs in a base of organic Shea butter and has been shown to help on all skin issues from rashes and hot spots to cuts, scrapes and dryness. Dr. Harvey’s Organic Healing Cream is easy to apply and safe for dogs even when licked. 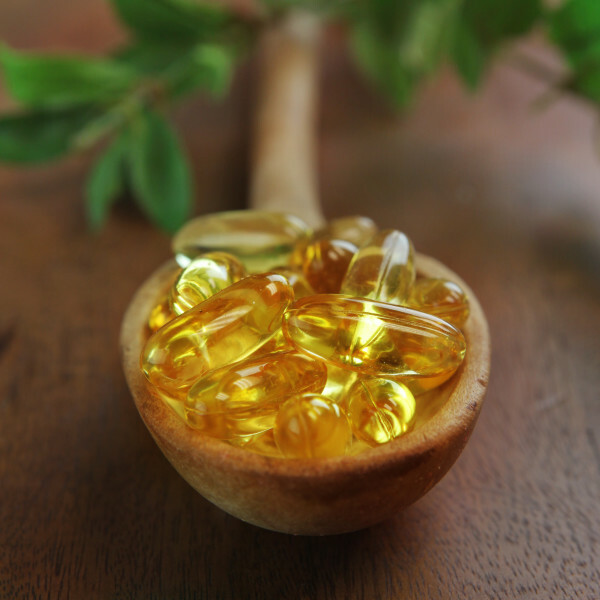 And don’t forget to add Health and Shine, our pure salmon oil capsules that are rich in Omega 3’s so vital to your dog’s overall good health a great addition that can improve skin and coat and reduce inflammation and itching. Don’t wait to start your dog on this wonderful, healing diet and watch the scratching, itching and redness disappear. If your dog is experiencing itching, skin irritation or redness, dandruff , bumpy skin or body odor, switch to Veg-to-Bowl and see for yourself, what a difference it will make in your life and the life of your companion.